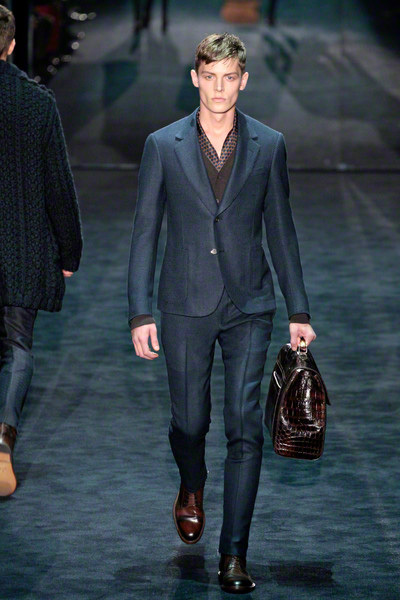 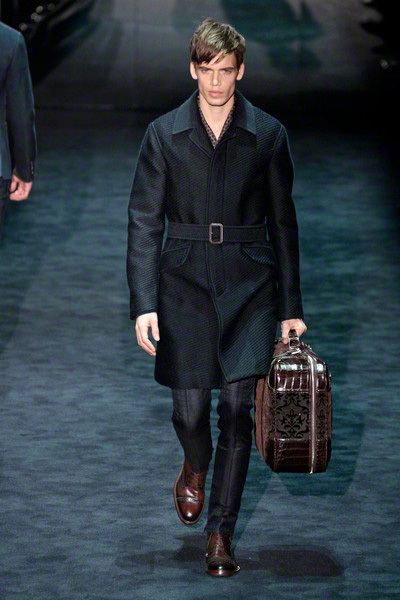 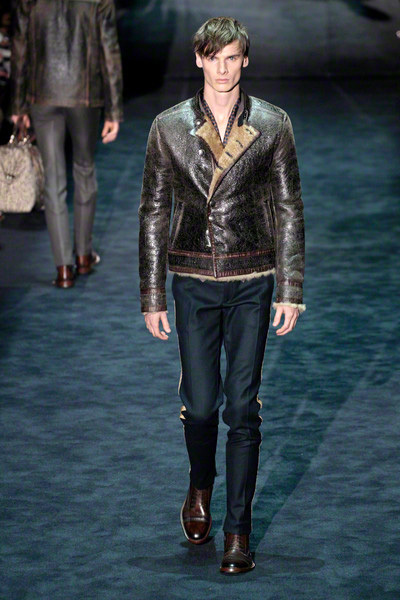 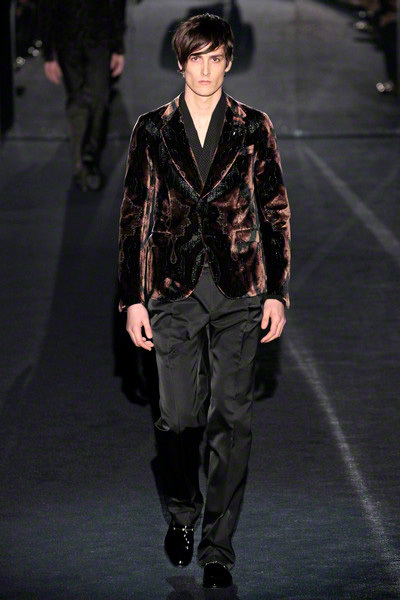 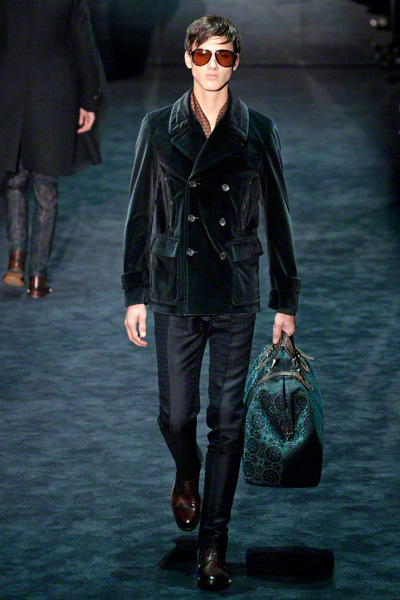 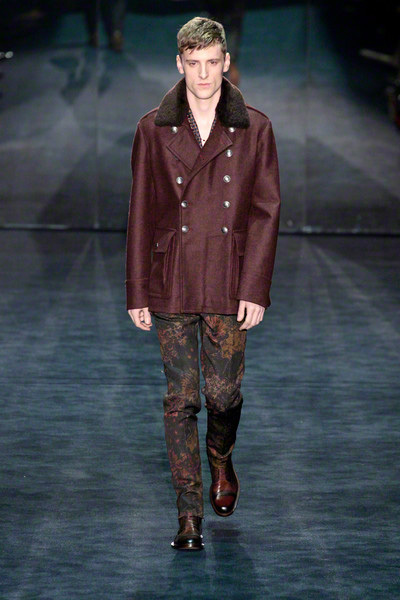 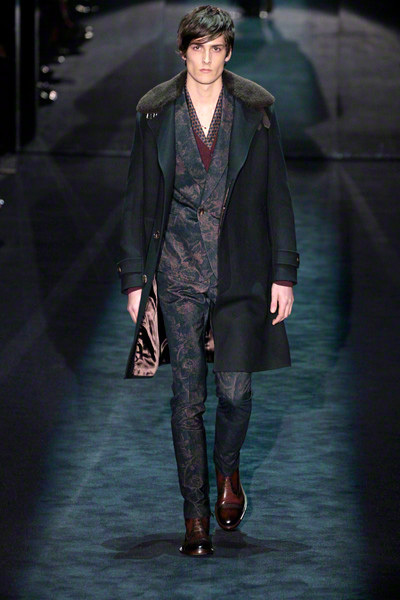 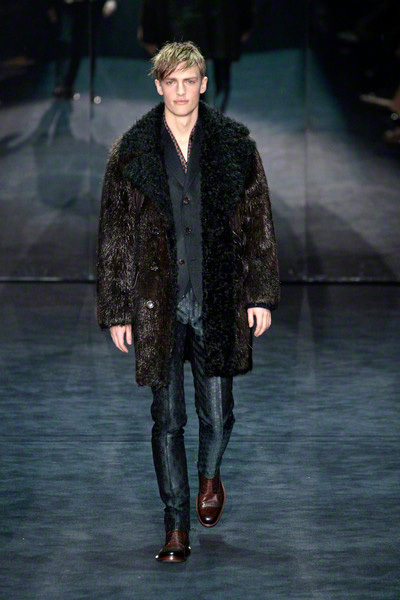 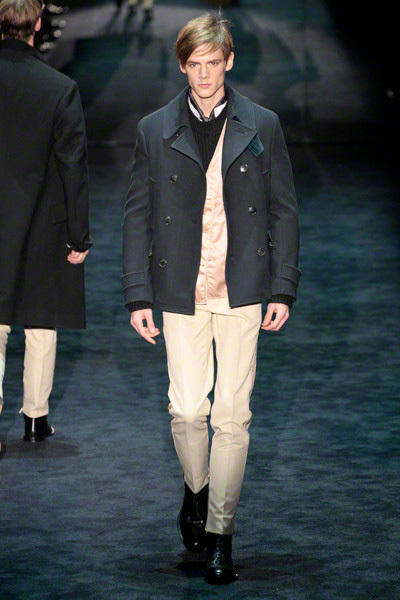 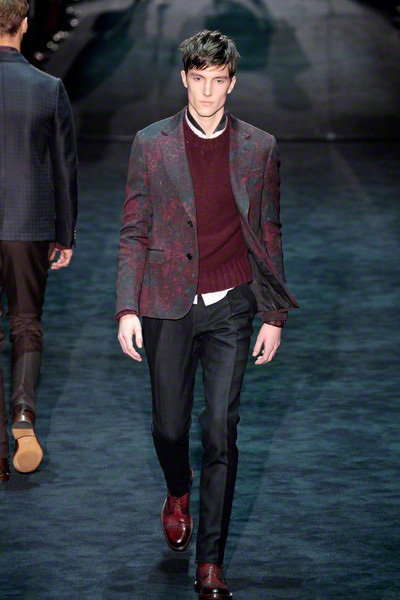 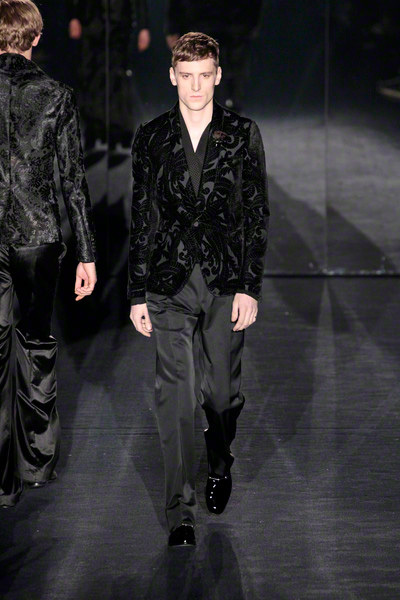 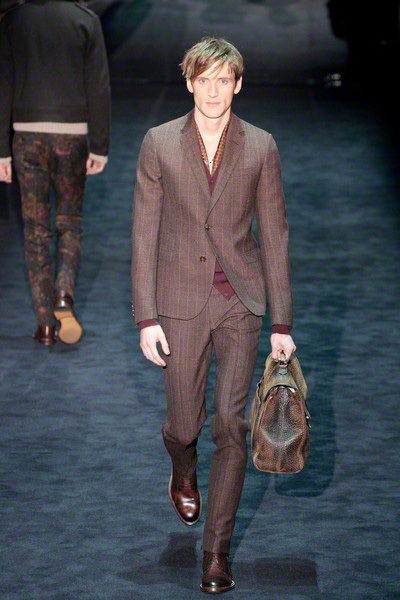 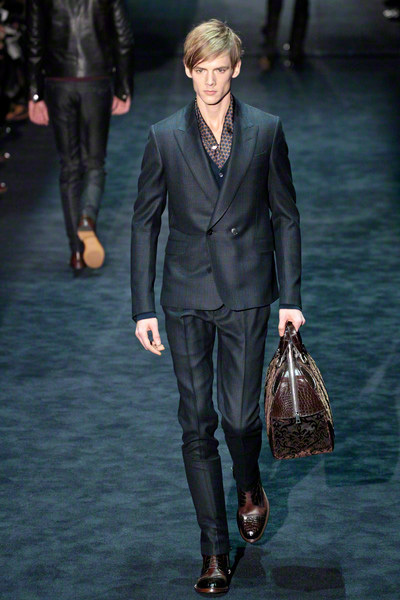 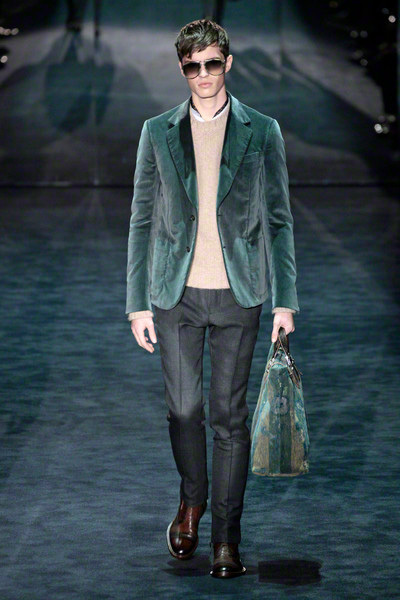 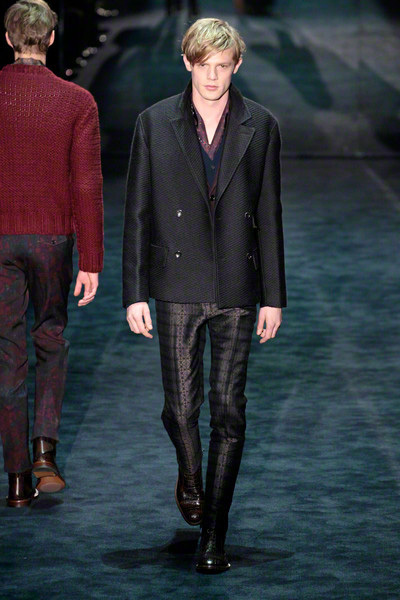 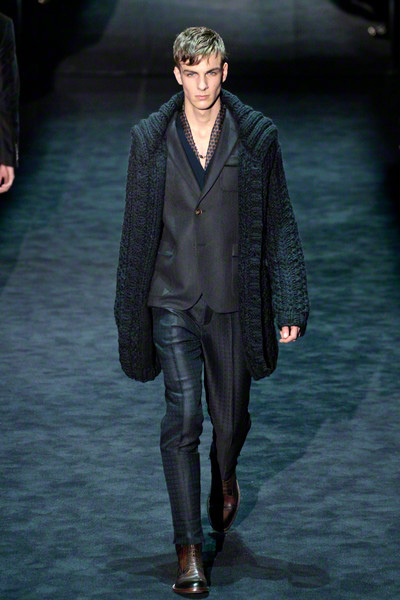 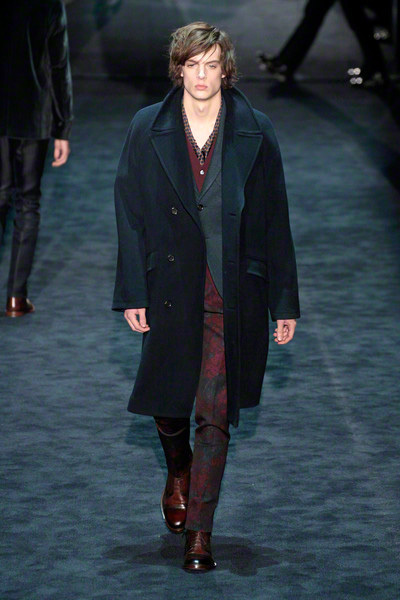 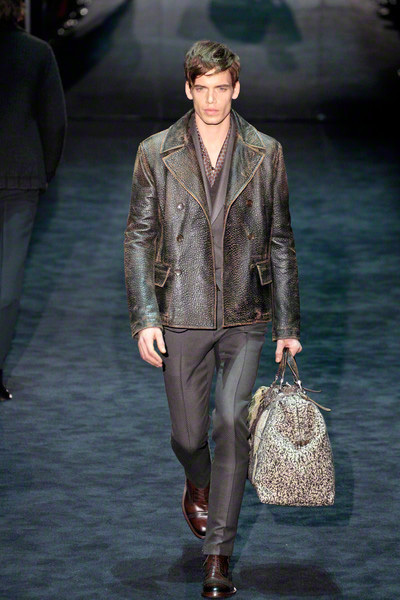 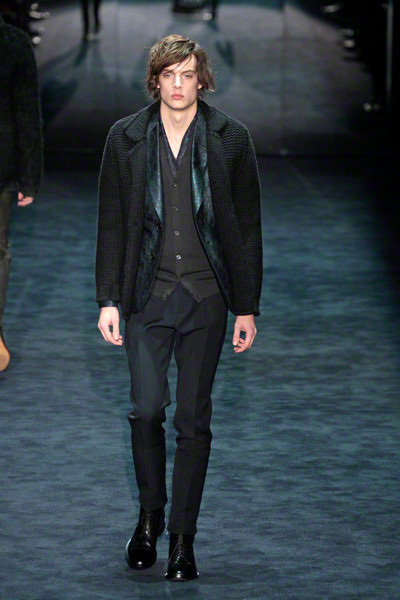 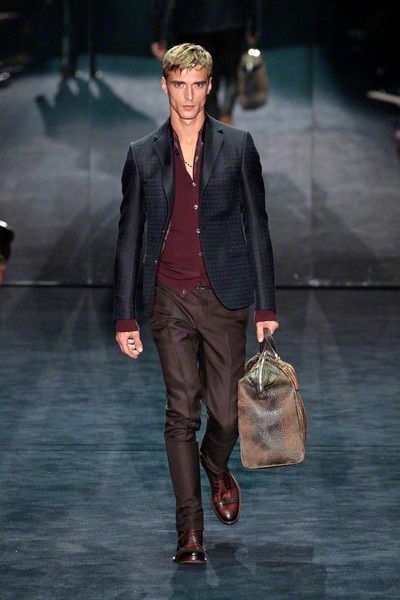 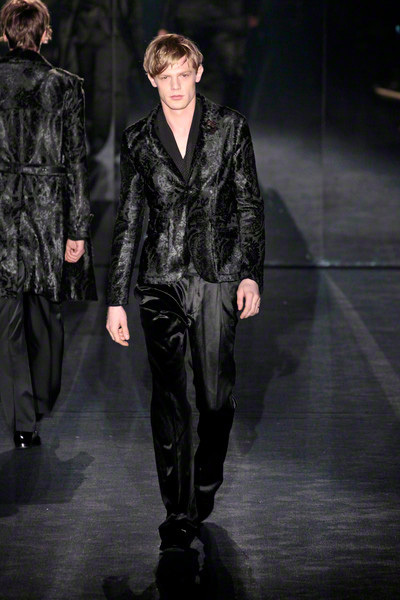 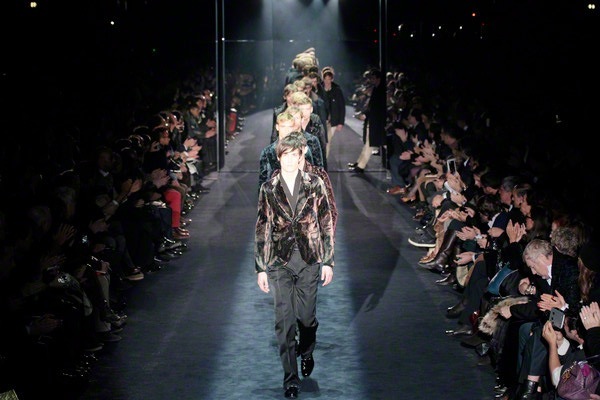 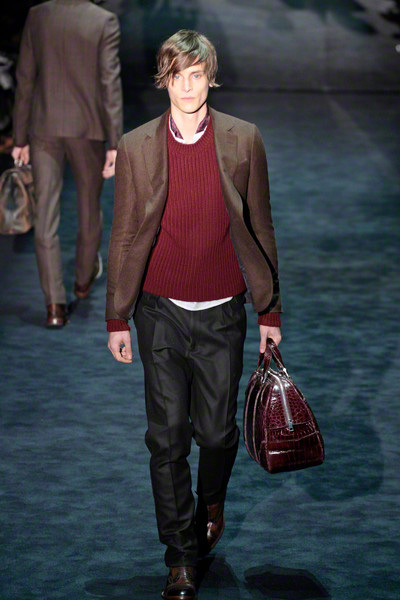 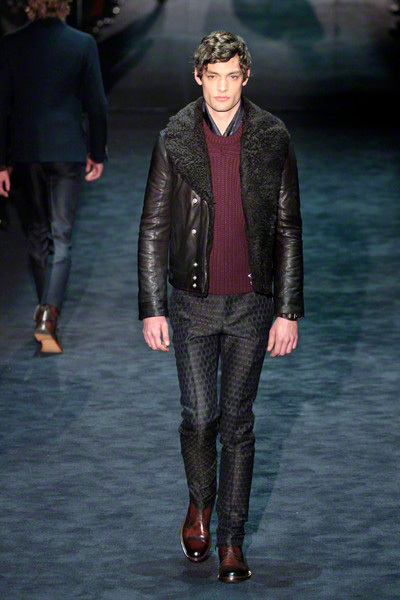 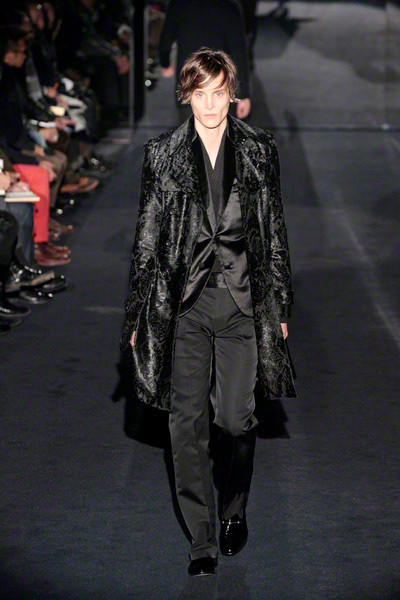 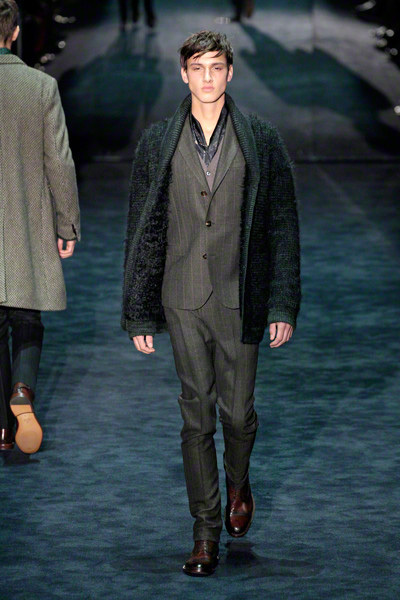 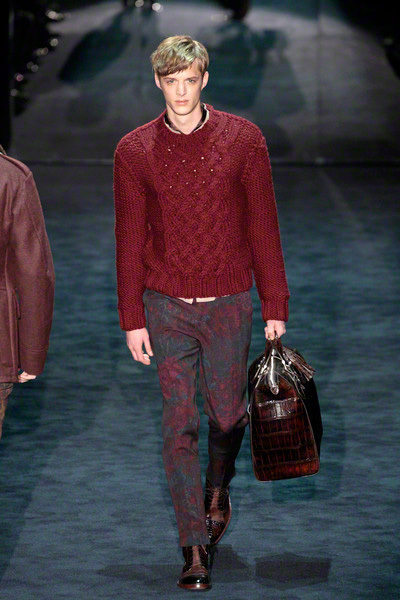 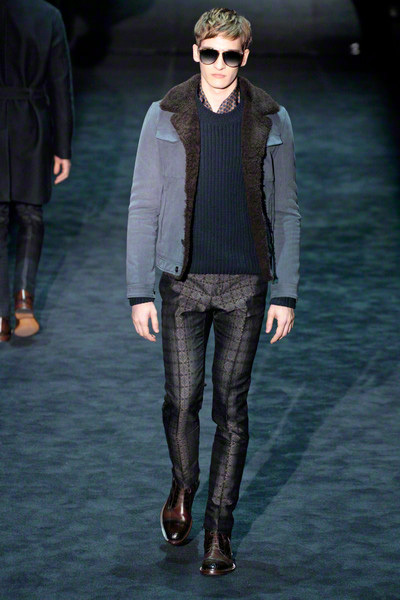 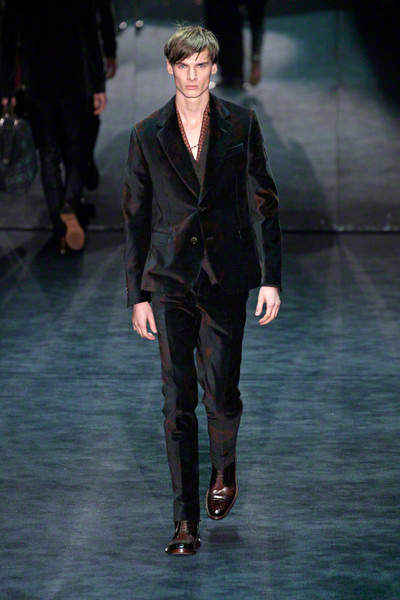 Well it was very obvious that the Gucci-collection fw2012 is about romance and decadence. 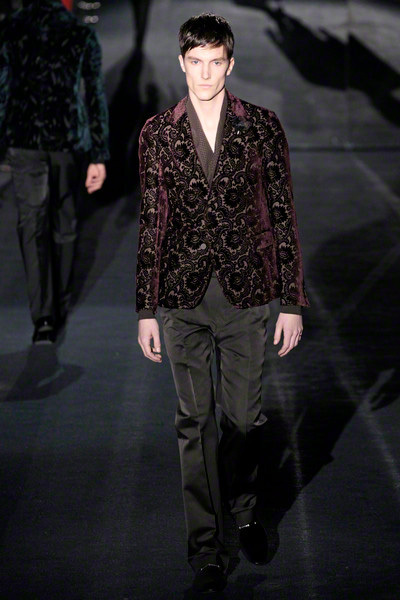 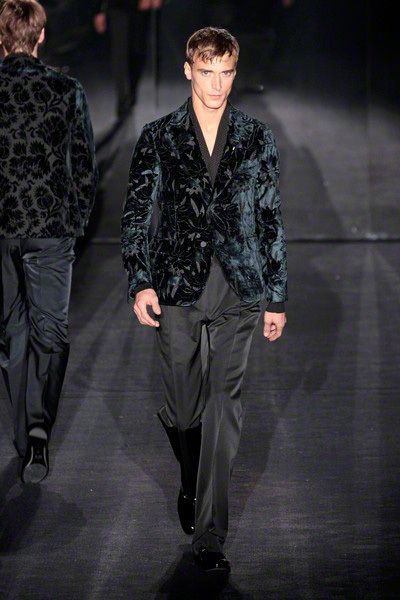 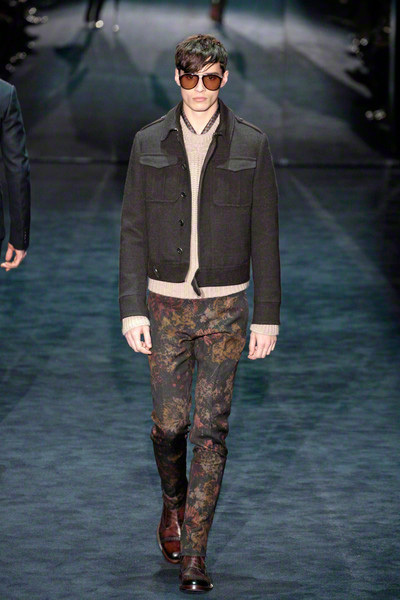 19th century bohemian men played a major role in this mix of flower prints, velvets, jacquards and tapestry. 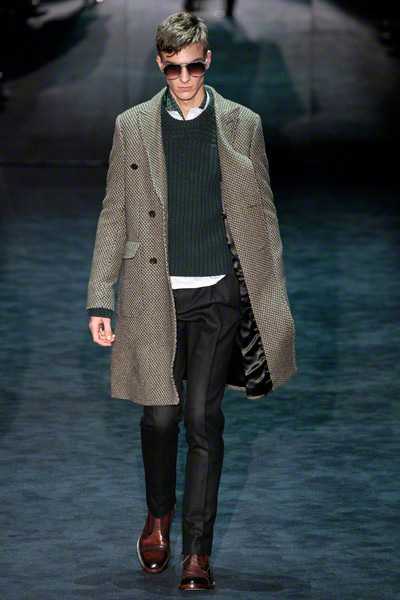 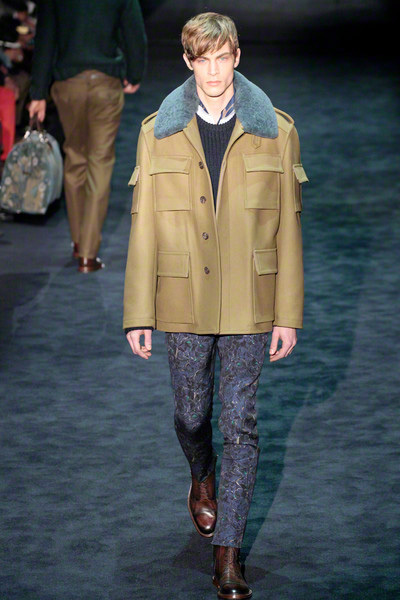 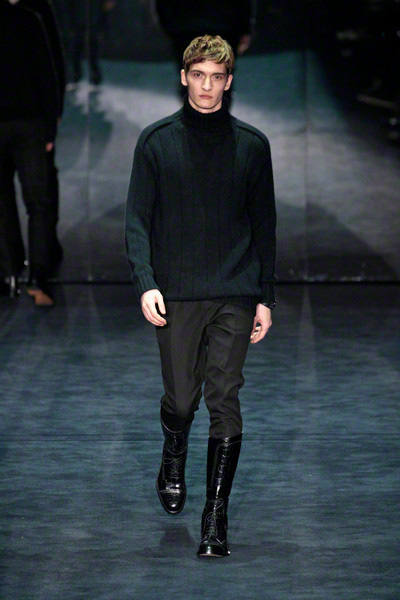 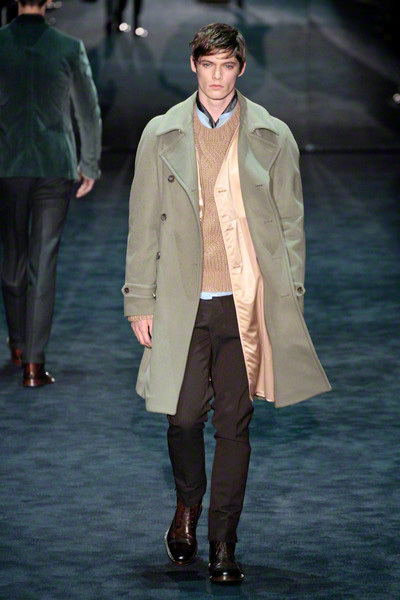 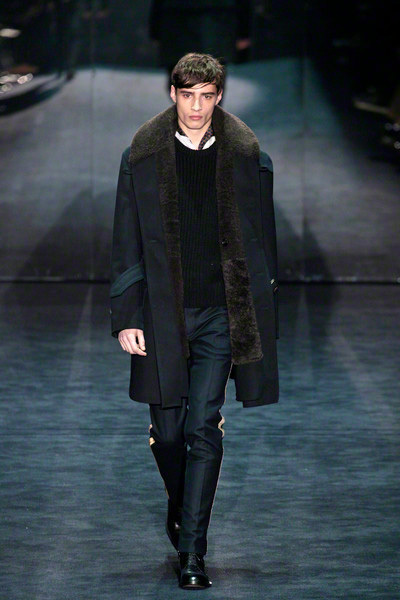 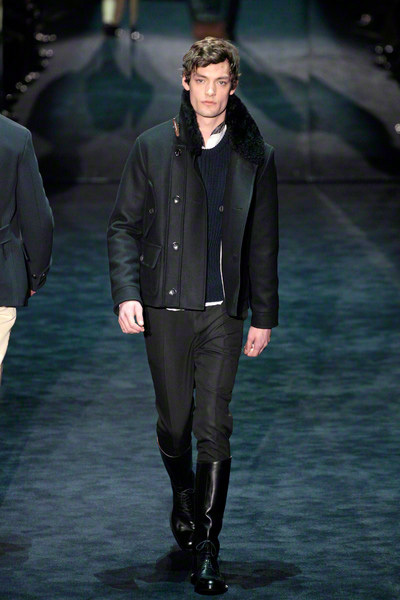 The designer played with proportions putting big overcoats over chunky crew necks and cardigans over skinny trousers and riding boots. 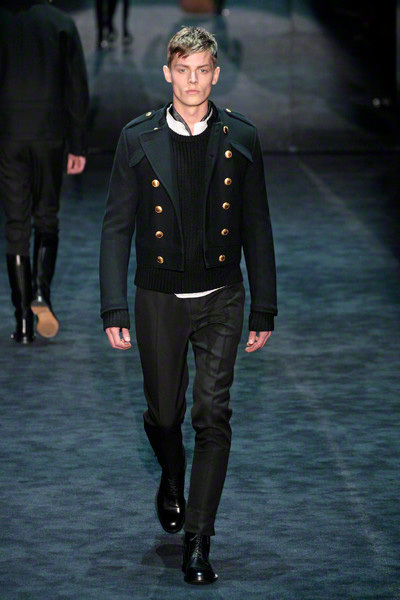 Army and navy-inspirations were also weaved into this collection.